With the 2018 Wisconsin Gubernatorial Election approaching, an unlikely candidate has chosen to throw his hat into the ring: Buckingham Badger. The iconic University of Wisconsin mascot said he is ready to trade his classic turtleneck for a button-up and tie and is even willing to don pants if it means he’ll be taken seriously as a potential candidate. As a UW icon for over 70 years, Bucky is confident his skill set as a mascot and fierce mammal will translate to success in the race for governor. Alluding to a video he saw on Facebook, Bucky said he just recently learned of his species capabilities as one of Earth’s most aggressive animals and will channel his inner savageness to ward off other candidates. “I’m not afraid to tear the testicles off my fellow candidates,” Bucky said. Skipping, clapping, flag waving and posing for pictures with adoring fans and supporters will also help him achieve success in the primaries, Bucky said. Upon hearing there would be no push-up competition as part of the race for governor, Bucky was a bit disheartened. “There’s nothing I would like to do more than beat Scott Walker in a push-up contest,” Bucky said. Bucky said he plans to campaign with a “fierce” agenda. Serving Blue Moon ice cream daily at all UW dining halls and making the Mifflin block party weekend a statewide holiday will be orders of business completed within his first 100 days in office, he said. “Most importantly though, as governor, I would do everything I can to make UW as appealing as possible to Steve Carell’s daughter,” Bucky said. Bucky said he is not too concerned about his opponents, including Republican Gov. Scott Walker who is running for a third term, and other major Democratic contenders including Paul Soglin, Tony Evers, Mike McCabe and Matt Flynn, among others. 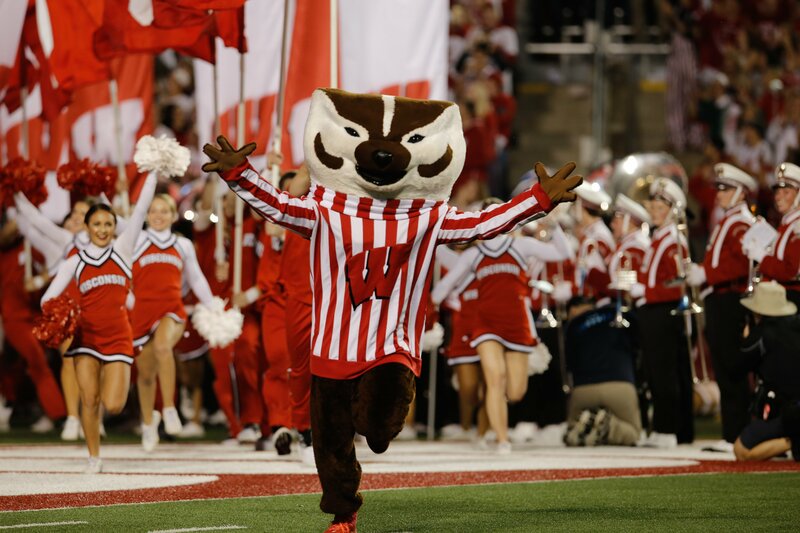 The Wisconsin primary election will take place in early November, and despite the hectic college football season, among other fall sports, Bucky is confident he can balance a Gubernatorial campaign and his mascot duties. “Leading the state of Wisconsin can’t be too much different from leading the widely intoxicated student section in cheers and game day activities at UW,” Bucky said.